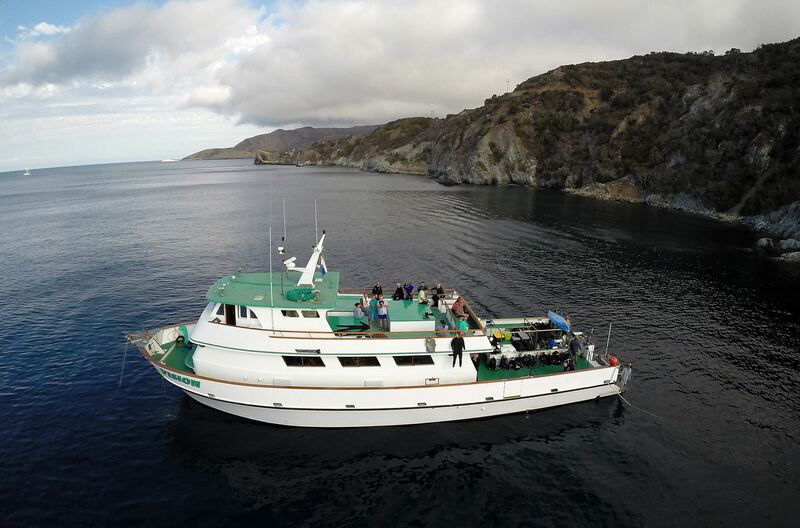 NCRD has again arranged to charter the Vision dive boat for a 3-day/3-night dive trip to the Channel Island Marine Sanctuary in mid-September, when ocean conditions generally tend to be very good. It's our boat for those three days, and depending on weather and diver load, we can explore anywhere the Vision normally goes. Pricing is set to break even with 24 paid divers and a Northern Islands itinerary. Our plan is for a 3-Day trip to the Northern Islands, or if extended by agreement we'd start in the south and work our way back up north. We will depart port Wednesday night and start diving Thursday morning. Five dives a day are generally possible including night dives, except Saturday where 3 dives are possible before returning back to port in Santa Barbara. Water temperature can vary up to 15 degrees from the Northern and Southern ends of the island chain with an average of 50-60°F in winter and 60-70°F in summer. Diving can be challenging at times. Prior cold water experience is strongly encouraged. Note that the dives from the Vision are not guided dives. You must be able to plan and execute your dives independently. In year's past we've either easily sold out this trip, or struggled to break even, or somewhere in between. The contract offers us a cancellation window of 60 days. If we don't sell the minimum 24 to break even by that date we will cancel the trip and refund everyone and the club will eat the lost deposit of $500. Divers will be given their choice of bunk based on whether they will be sharing a bunk and the order they signed-up for the trip. The earlier you sign-up, the more likely you are to get your preferred bunk. There are no private cabins or en suite baths. 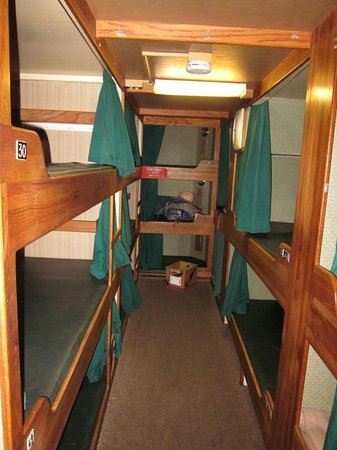 The sleeping area is a large bunk room. The restroom and shower area is shared. The Vison will depart Santa Barbara Harbor on Wednesday, September 13th, at around midnight. for the overnight ride to our first dive destination. Boarding will be allowed from 8PM. 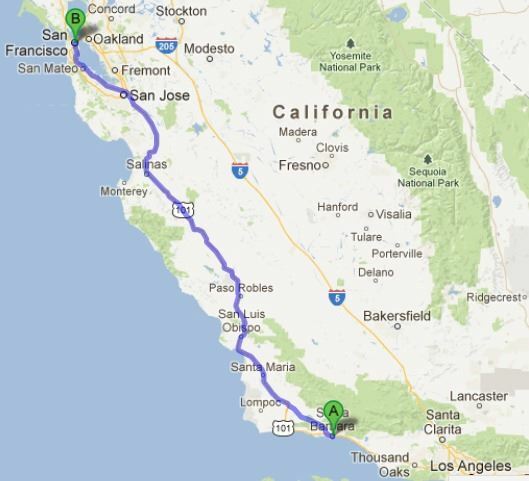 Santa Barbara is only 350 miles south of San Francisco -- an easy and relatively inexpensive 6-hour drive from San Francisco, especially for carpoolers.